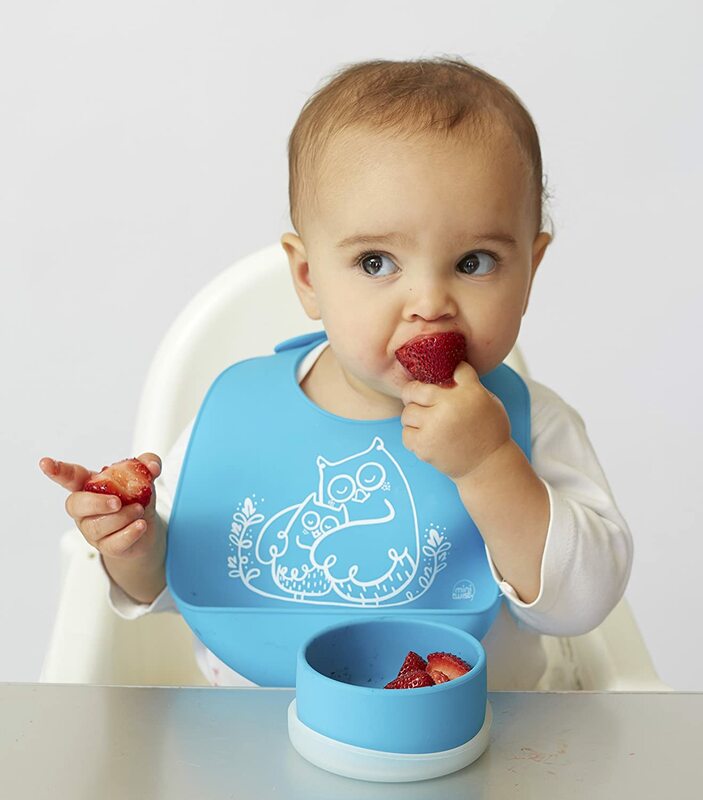 The plastic-free Bucket-bib is made of pure, silky soft & reusable silicone that keeps your baby’s sensitive skin happy & prevents single-use options from ending up in our oceans & landfills. 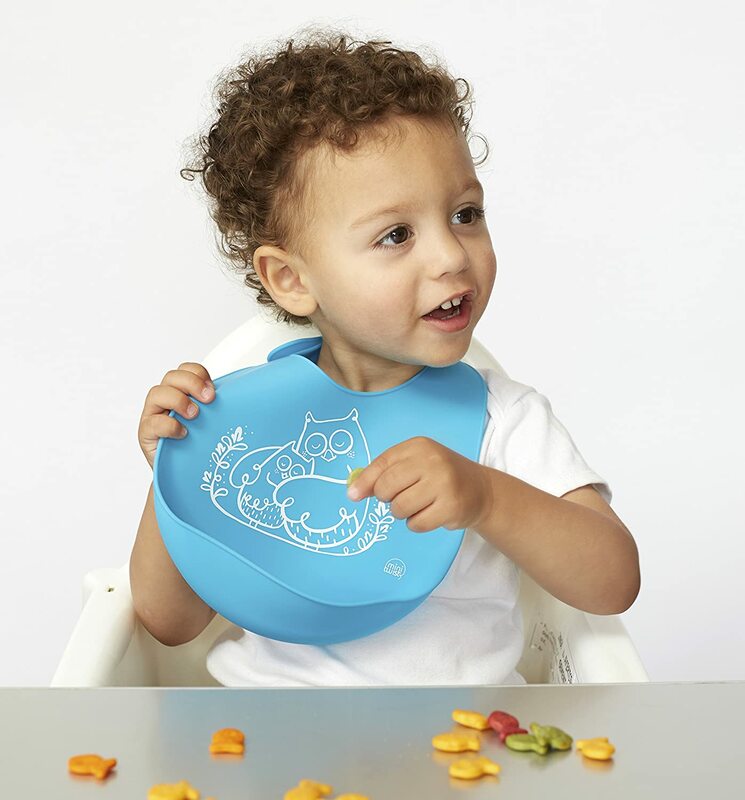 Easily portable, the bucket bib rolls up and stores compactly for use at restaurants or on the go. 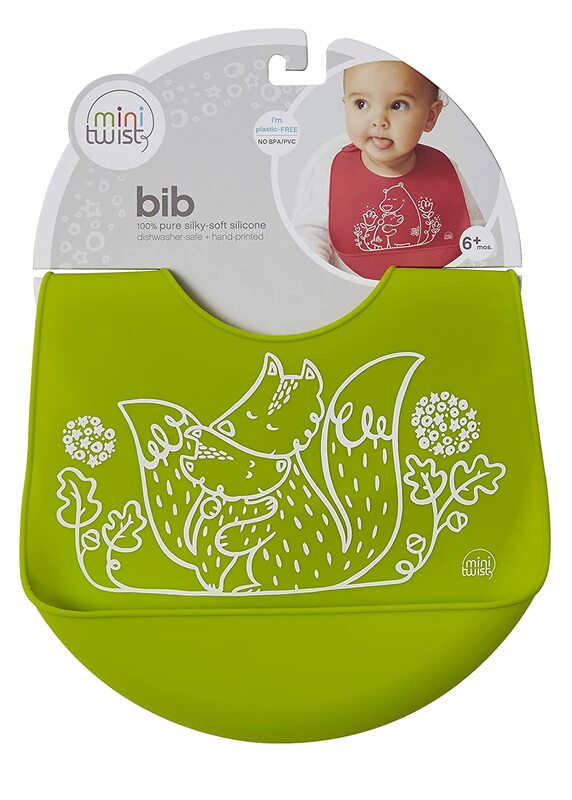 Like all mini-twist products, the bucket bib is made from 100-percent pure, FDA-approved food-grade silicone, nonporous material produced from natural elements that is free of BPA, PVC, lead, latex, phthalates, and other harsh chemicals. 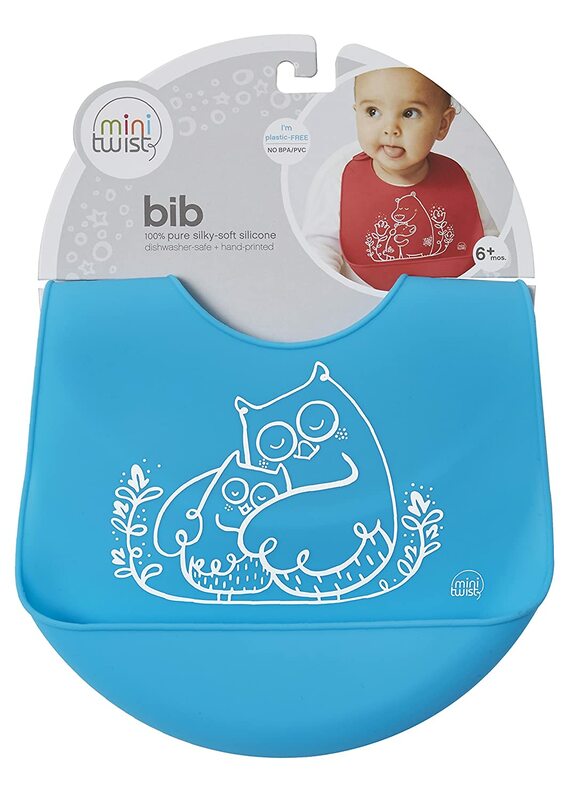 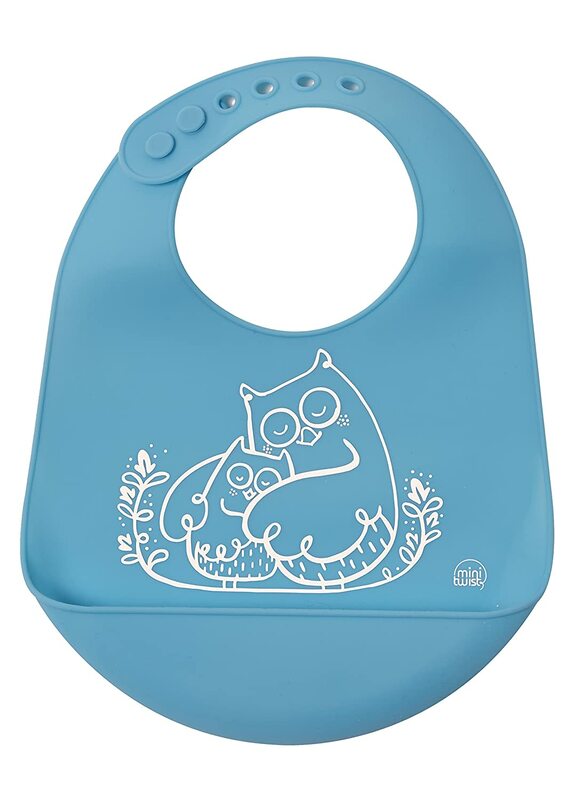 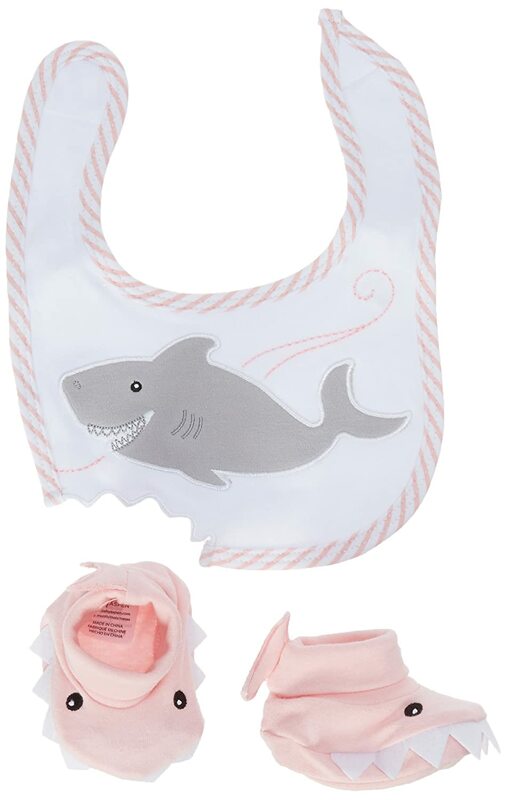 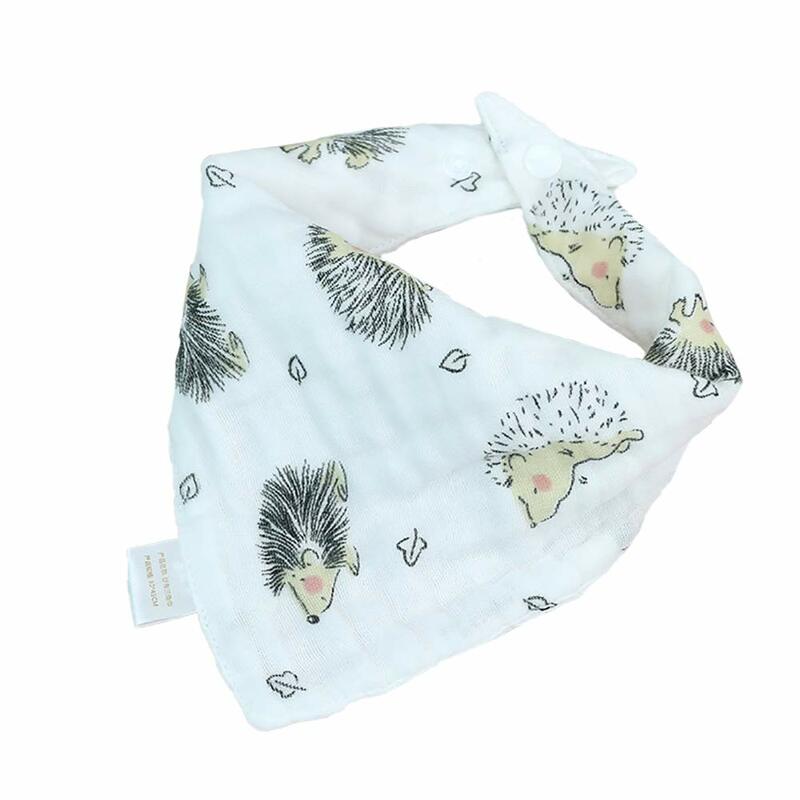 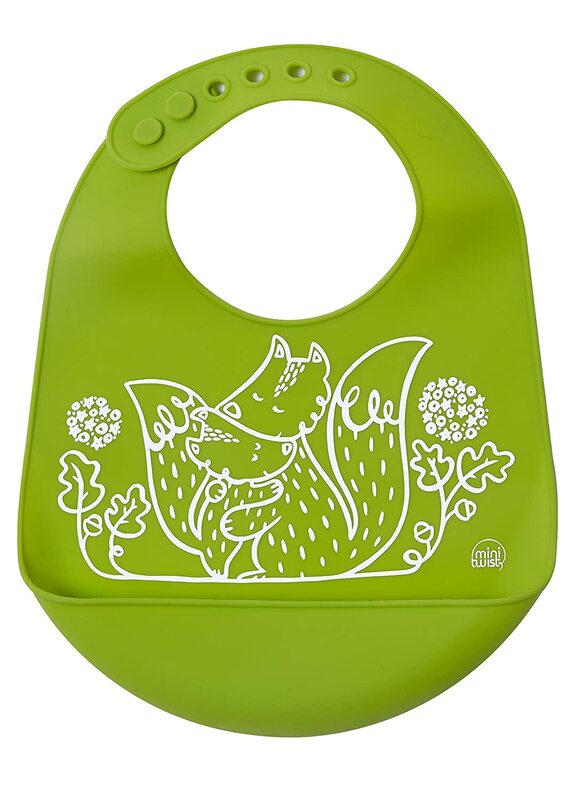 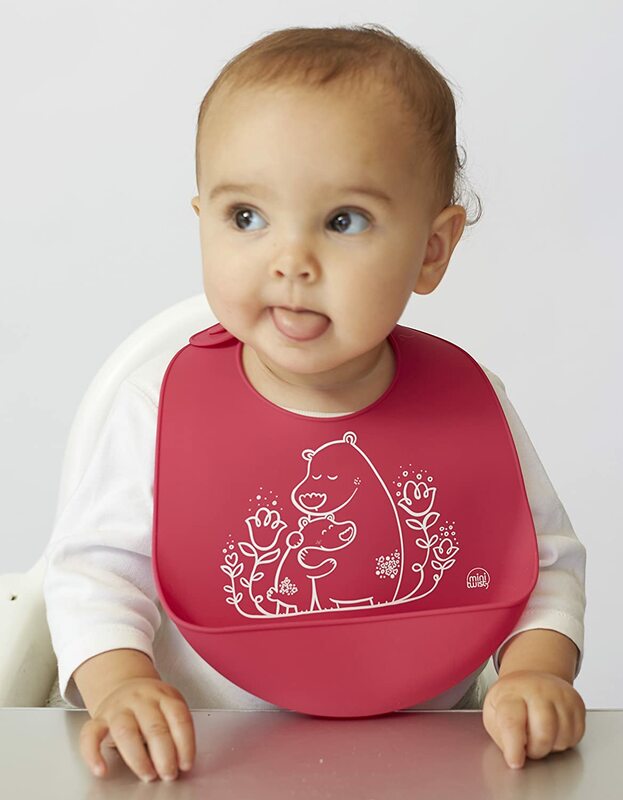 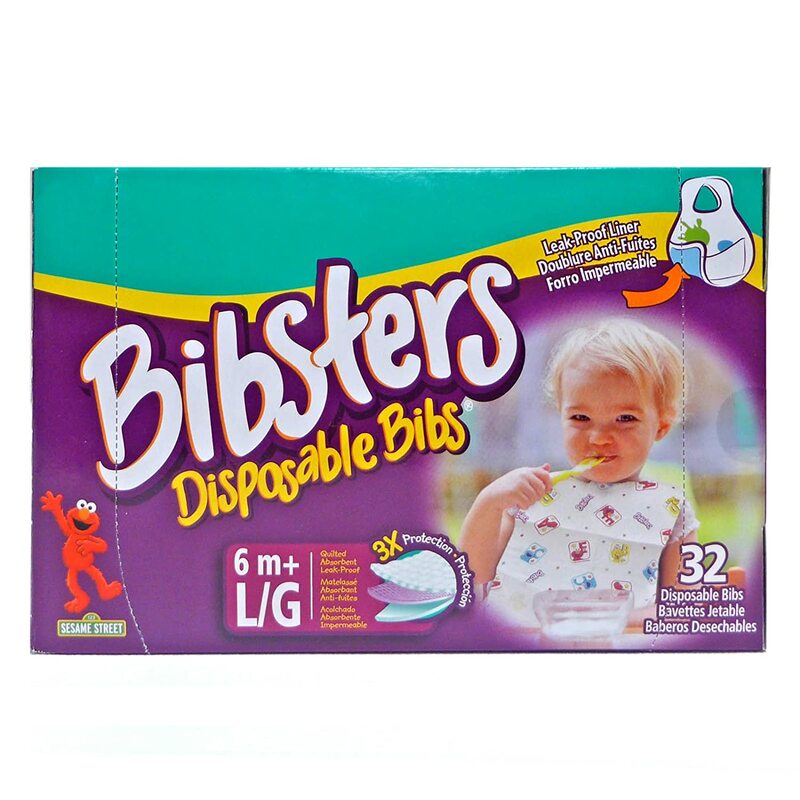 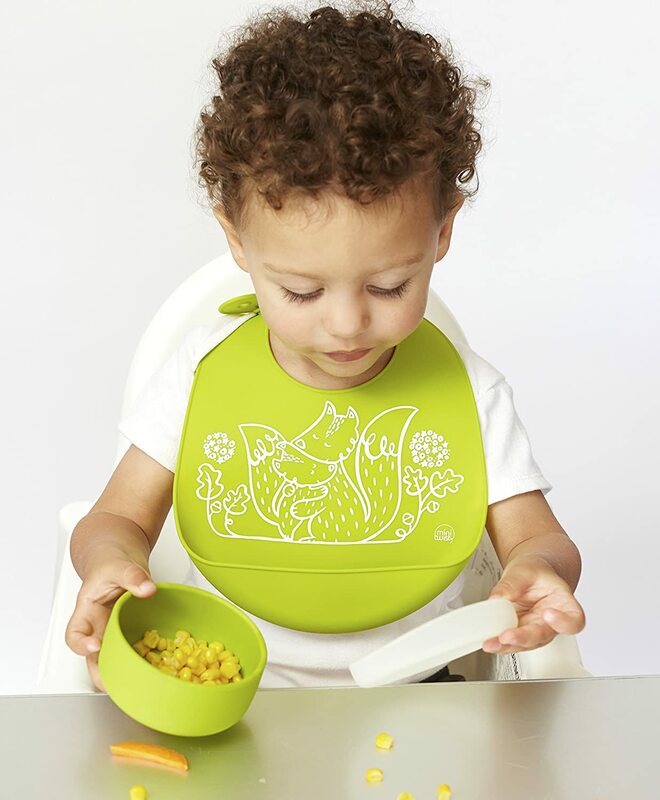 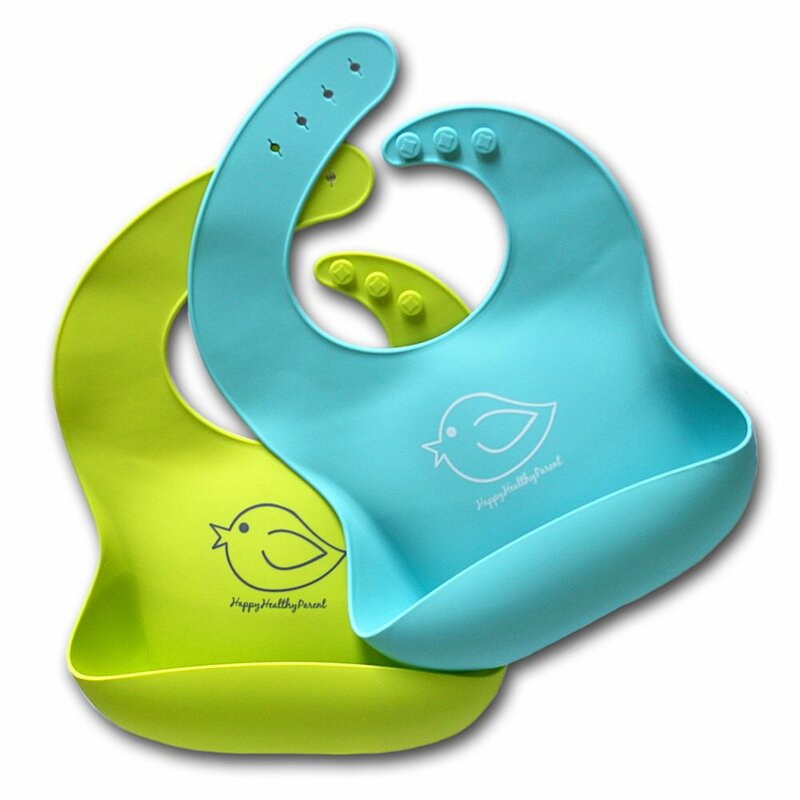 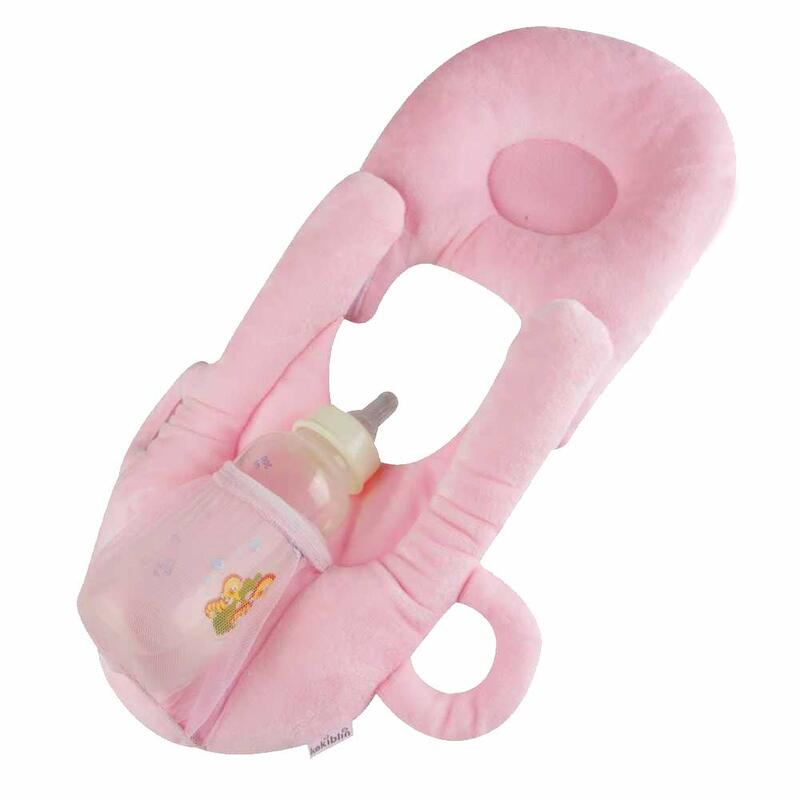 This bib cleans quickly, requiring just a simple wipe down after a meal to prevent staining. 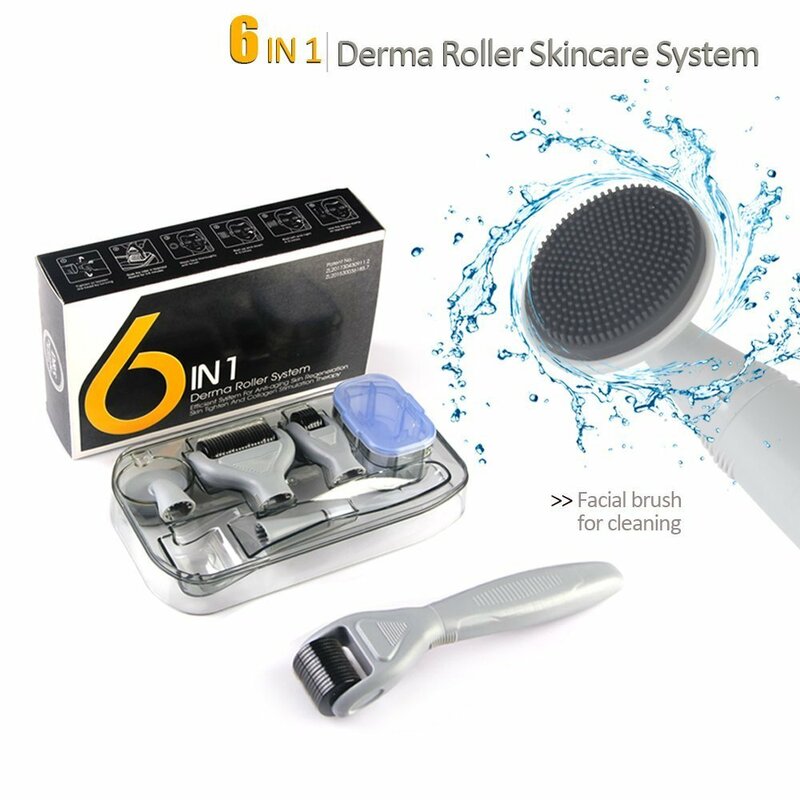 It also inhibits bacterial growth. 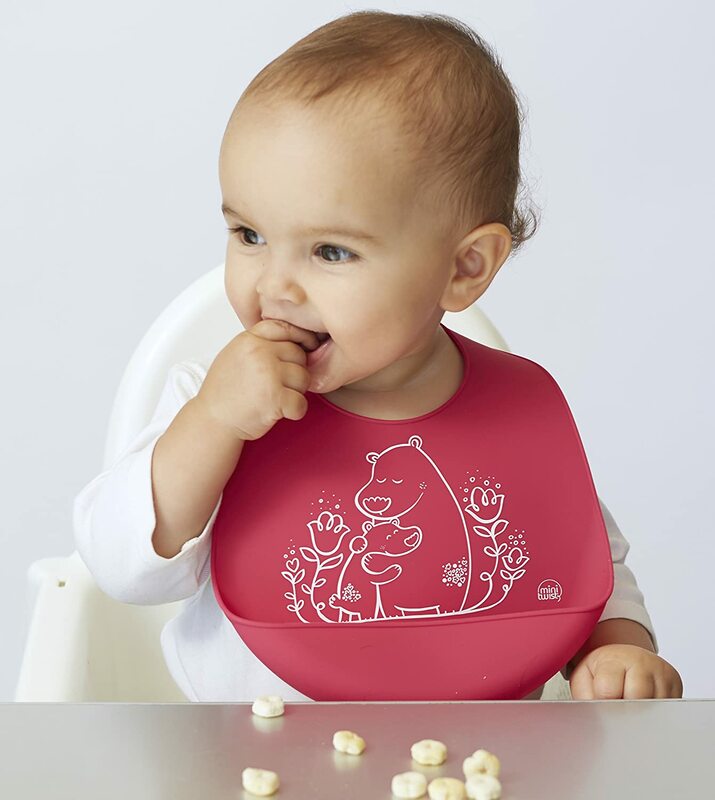 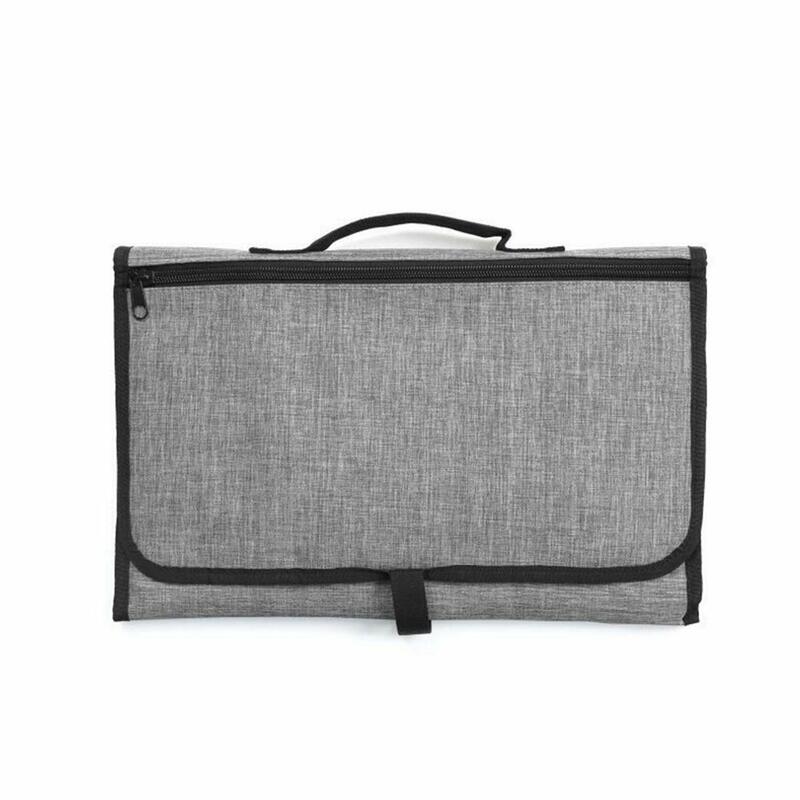 It's also dishwasher-safe and won't crease or rip. 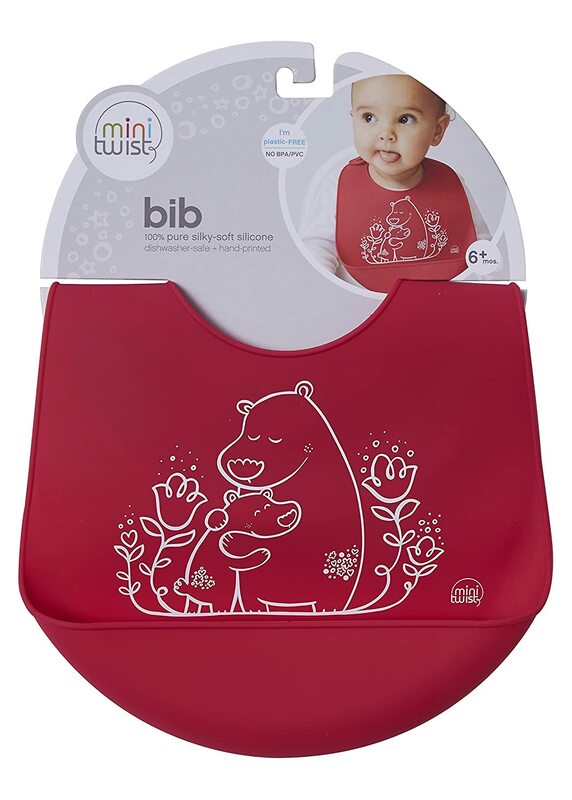 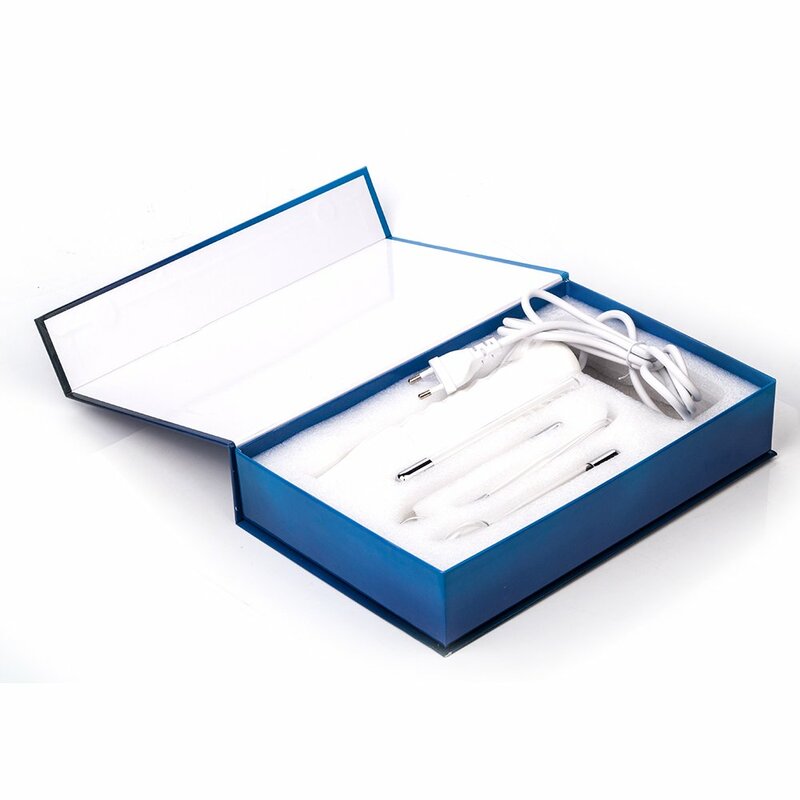 Mini-twist, a modern-twist company, strives to encourage others to create a plastic-free planet by producing products that are good for people and planet.